Select a high quality, well designed faucet with a long-lasting finish. Repairing a well-made and functional faucet or valve is the best choice whenever possible. There are times, however, when it is best to select something new and have it installed. Faucets have changed significantly in the last 30 years. While new non-washer and ceramic disk stems and cartridges allow faucets to go much longer without repair, avoiding repair or replacement is often impossible. 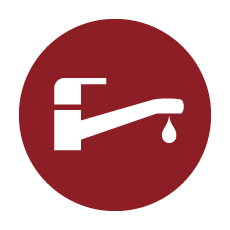 Many faucets and valves have no identifying markings, and when they are finally identified, may require internal parts which are no longer available. If you need a new faucet, there are many excellent brands and models available to choose from. Call Daystar Plumbing today so we can speak about your particular needs, and how they can best be met. Whether you need help with a repair or tune-up, or it is time to find something new, a call to Daystar Plumbing will help you find the solution you need. If possible get a product with a lifetime warranty. Have your faucet installed by a licensed plumber who is familiar with the brand you select. Spending money on quality now, will save you time, money and inconvenience later. ​When you call Daystar Plumbing, We will listen to your concerns, answer your questions, and work to create solutions to meet, if not surpass your expectations. We quote a fixed price for each job, so you know the cost before we begin. Call (650) 738-2064 or Contact Us.